Foundation is the canvas for any Vintage Makeup look. There are a few important steps to achieving the perfect foundation to compliment your glamorous skin. The key to foundation is to enhance your natural beauty, so try not to think of your foundation as a mask but rather more of a tool to enhance your stunning features. There is no right or wrong way to select or to apply foundation. Foundation like other makeup products is a personal preference so do what works best for you & most importantly do what makes you feel beautiful! Below are just a few of my tips & tricks for choosing & applying foundation to achieve a basic Vintage Makeup look. Feel free to adapt these to suit your preference & style. I have supplied a list at the bottom of this page with a selection of products that I use to achieve my look. First things first, get to know that amazing skin of yours. If you have dry skin, use a hydrating liquid or a cream foundation. If you have oily skin, then a mineral, powder or oil-free liquid foundation is best. If your skin is normal to combination choose a foundation that is water based or feels comfortable on your skin. There are a few factors to consider about the finished look that you are hoping to achieve. These include, the amount of coverage you expect from your foundation (light, medium or full coverage) & the foundation finish (matte or dewy). Vintage Makeup looks traditionally have a matte finish apposed to a dewy finish. Before selecting your foundation it is important to establish the undertone of your skin. Doing this will help you to achieve that perfect colour match, allowing your foundation to seamlessly blend into your gorgeous skin. The undertone of your skin is the subtle hint of colour that appears under your natural skin tone. There are many variations but all of us ladies generally fit into one of three categories of either; warm, neutral or cool undertones. The easiest way to discover your undertone is to look at the skin on the inside of your wrist. Does the colour of your wrist appear to be more pink, yellow or is it somewhere in-between? If looking at your wrist doesn’t prove helpful, take a piece of pink or yellow fabric, press it against your lower cheek. Which ever colour matches your skin the closet is your undertone colour. If neither of the colours match then you have a neutral undertone. My beautiful Nana taught me this little trick & it works a treat every time! Remember undertones are subtle, therefore don’t be discouraged if you can’t find your undertone at first glance. It is essential that your foundation matches both your skin tone & your undertone to ensure a flawless match to your skin. For example I look for a foundation that matches both my pale skin tone & my neutral undertone. Most good quality foundations are created with a pink, yellow or neutral base colour, this allows you to narrow down your selection a tiny bit. When deciding between foundations, choose three foundation colours that you think best match your skin. With a foundation brush apply three strokes of each colour on your lower cheek from your ear to your chin. Using a mirror step outside into natural light. Which ever of the three colours blends or disappears into your skin the most is the best match for you! If all three of the colours stand out then start over with another three colours. Take your time when finding that perfect foundation. NOTE: Viewing foundation colours on your skin in natural light apposed to artificial light will provide you with a truer colour match. If you struggle to find a perfect match to your skin tone then don’t be afraid to mix the two foundation colours together that most closely matched your skin tone. This will create your own foundation colour. We are all unique so it only makes sense that our foundations should be too. Preparing your skin is an essential part of any makeup routine & ensures your foundation remains flawless through out the day whilst protecting your skin at the same time. Cleanse, tone & moisturise your skin using your favourite products. Allow approximately 5 minutes for your moisturiser to absorb into your skin. Doing this will prevent your primer/foundation mixing with your moisturiser & slipping all around your face. Apply a facial sunscreen. This is essential for protecting your skin against the sun & other elements. Apply a small amount of foundation base or primer over the surface of your skin. Always starting at your nose & working outwards. Using a foundation base or primer helps to absorb any excess oil on your skin & helps to create a smooth surface for your foundation application. Allow a few minutes for the base or primer to settle before applying foundation. For Vintage Makeup looks it’s best to use a matte concealer that is approximately one shade darker than your foundation colour & a Brightening Concealer for under the eye area. This ensures an all over even coverage & colour. Using a small concealer brush lightly dab concealer on any imperfections (Don’t worry we all have them!). Give special attention to blending the concealer in to the surrounding areas. Doing this prevents patches of concealer becoming visible under your foundation. Use a Brightening Concealer for under your eyes. These types of concealers are slightly thicker & have wonderful brightening properties to lighten dark circles under your eyes. Using a foundation sponge lightly dab the Brightening Concealer under your eyes, being carful to only use a small amount. Using too much can cause a build up of product under your eye. Allow the under eye concealer to settle for a few minutes then lightly dab with pressed powder on a cotton pad to set the concealer in place. (Apply foundation over the top as per below). Use as little foundation as possible to start with. You can always touch up & add more foundation as you go along. Using a foundation sponge or brush start by applying your foundation to your nose as this is the centre most point of your face. Work your foundation outwards from here in soft sweeping motions. Then move onto your chin & jaw, again working outwards using sweeping motions. Gently blend your foundation down your neck to prevent a “mask of foundation” forming. Once complete move onto your forehead and work your foundation out and across, avoiding your hairline. Ensure all areas of your face are evenly covered. Lightly apply foundation to your eye lids & surrounding areas. Be gentle to avoid causing any redness or irritation to your eye area. Touch up any areas that may require any extra coverage with a foundation sponge. 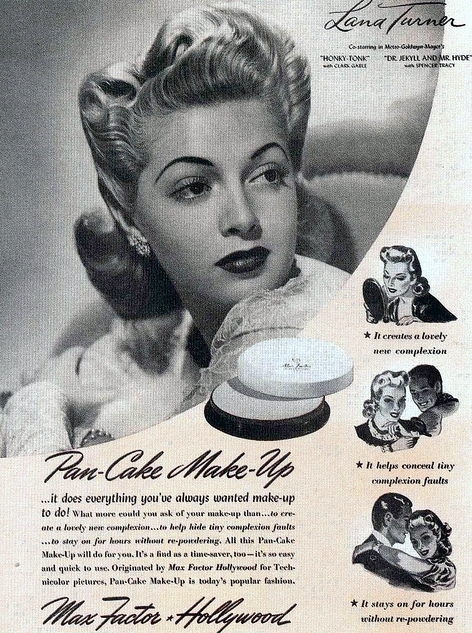 To achieve the porcelain pinup look, dust over the top of your foundation with pressed or loose matte translucent powder. Using a large powder brush to do this will ensure an even coverage of powder. I find that pressed powder is a great deal less messy than using a loose powder…..especially if you’re a Pinup in a hurry! Set your foundation in place by using a makeup setting spray. If you don’t have a makeup setting spray then lightly spray your foundation with hairspray. Hairspray works wonderfully to hold your foundation in place, but be mindful that it can be dehydrating for your skin if exposed to sunlight or air-conditioning. Oh & be sure to avoid getting it in your eyes! NOTE: You can apply your foundation in a number of different ways. You can use a foundation brush, a foundation sponge or your finger tips. Experiment to establish which application method allows you to create the seamless foundation finish. These are just a few of the basics of foundation selection & application. Experimenting with colours, textures & coverage is the best way to achieve a foundation look that you feel comfortable with. So don’t feel silly to sit in front of your mirror at home & try different looks or methods of application. Have fun with your makeup! For my everyday Vintage Makeup look I keep my foundation matte, with red lips & winged eyeliner. However when I’m performing in a Burlesque production or appearing in a photo shoot I tend to incorporate more colours & sparkles into my Vintage Makeup look. 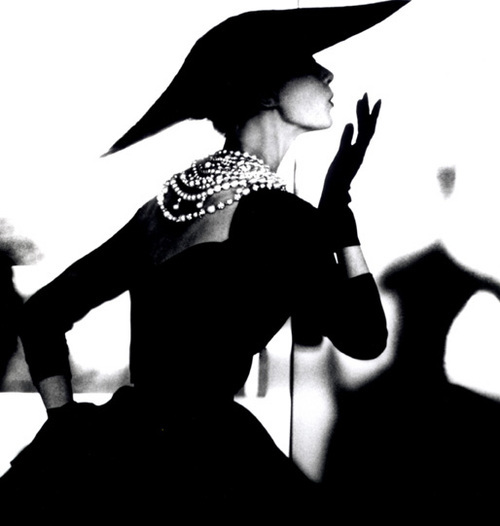 So don’t be afraid to adapt your classic vintage looks for different occasions. 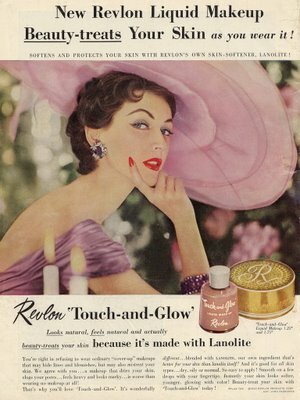 There are some fantastic resources & examples on the internet of vintage makeup, do your research & adapt specific vintage looks into your own style. Practice makes a Perfect Pinup! Choosing & applying a foundation doesn’t have to be a chore! I really do hope this helped to answer some of those tricky foundation questions! If not please feel free to email me. I enjoy reading your emails via the feed back forms & on the Miss Ruby Ribbons Facebook page, so please do keep them coming! Keep a look out for the Miss Ruby Ribbons website coming this week. I will be linking all photos & blog posts to the website once complete.